New York is all set to get a dedicated museum of ice cream in the Meatpacking District this summer. It will celebrate foodies’ love of and obsession with ice cream. The first of its kind in the United States, the Museum of Ice Cream will display ice cream themed art installations, numerous ice cream varieties and history of ice cream. Close to the Whitney Art Museum, it will transport visitors to an altogether different world of ice cream far away from the heat of summer 6 days a week from July 29 till August 31. Curated by a group of ice cream loving artists, foodies and designers, the Museum of Ice Cream in New York will feature a life-size pool of sprinkles in an ice cream themed playground. Visitors can take plunges into the pool. The upcoming museum will boast some other attractions such as a colossal ice cream sundae and a massive chocolate room. There will be edible balloons for kids. Visitors can entertain themselves by indulging in playful activities such as swinging on an ice cream sandwich and seesawing on an ice cream scooper. New York’s Museum of Ice Cream will host ice cream tasting sessions for guests to try delicious creations by none other than Dr. Irwin Adam, a renowned food scientist. It is expected to be the most exciting indulgence for ice cream lovers. The interior of the museum will be adorned with visual designs by eminent creative artists from New York City. New York’s popular ice cream brands including Black Tap and Oddfellows will entertain visitors with their cool creations every week. Interestingly, no additional cost for it! The price of tickets includes it. 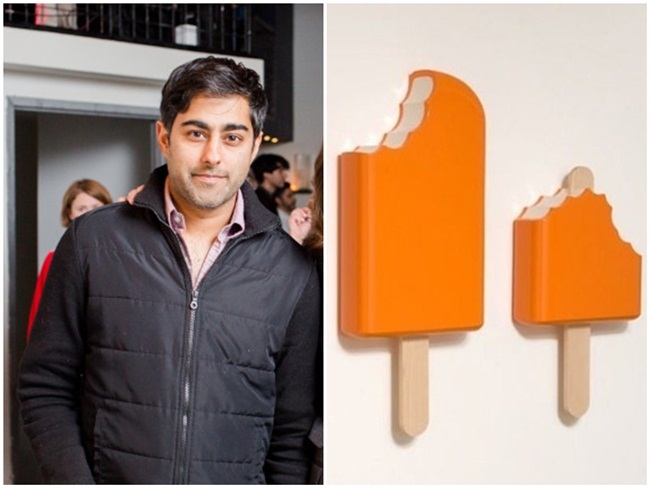 Indian American entrepreneur Manish Vora, CEO of Lightbox, ideated the project out of his passion for ice cream in 2015. Maryellis Bunn, an ex-employee of Time Inc. is his partner in this offbeat venture. Having such a place dedicated to ice cream and the things related to it is Maryellis Bunn’s childhood fantasy. The Museum of Ice Cream in New York promises a sinful indulgence this summer!